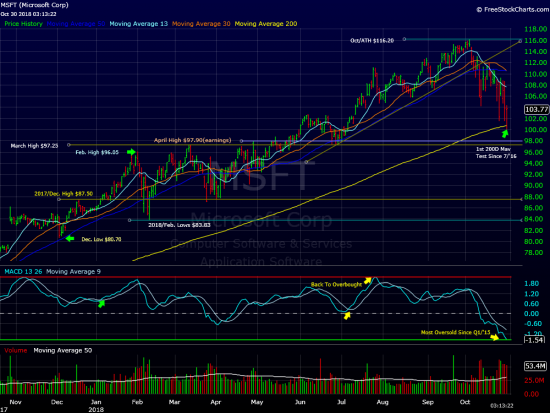 This would be a helluva hold for $MSFT. Reached new all time highs in early October then took out the previous two monthly lows during the recent sell off. That is a nasty reversal, one that has driven shares into deeply oversold territory. Testing 200 day moving average today after falling just over 13% from the 10/3 peak. This is the first test in over two years. Still a tremendous amount of downside momentum in place. Needless to say, a key stock to watch in the very near term. At time of publication we are long MSFT in most managed accounts.